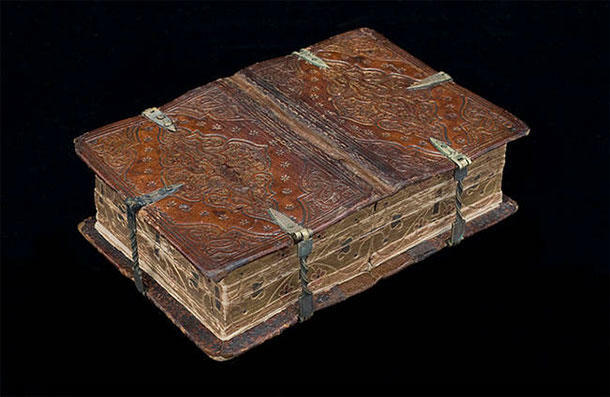 What makes this small old book extremely special, aside from the fact that it's a 16th century relic, is that it's a marvelous example of sixfold dos-à-dos binding, a type of ancient binding in which six books are conjoined into a single publication. 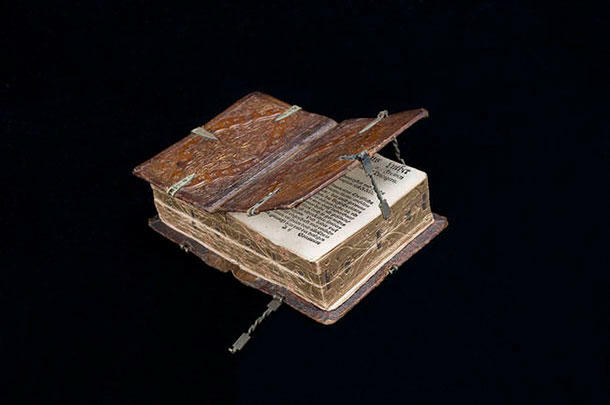 You can also read each book individually with the help of six perfectly placed clasps. 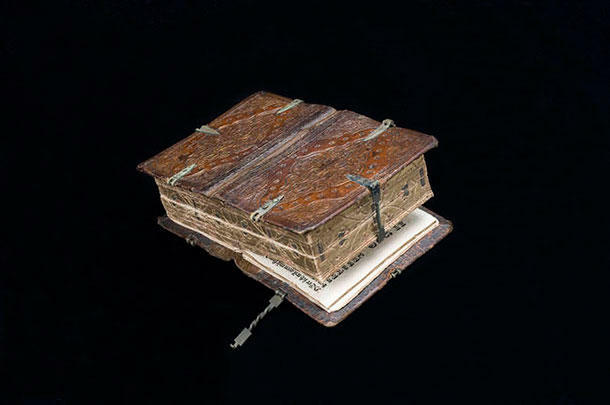 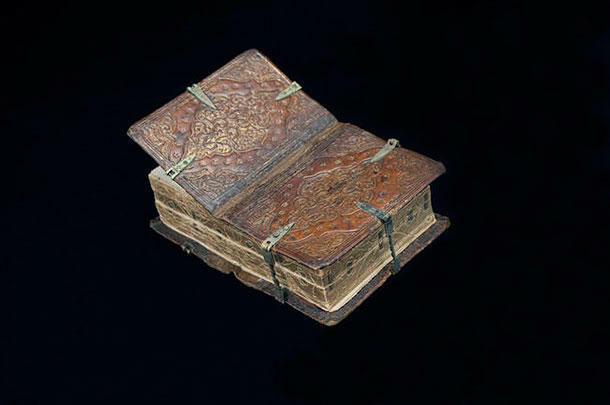 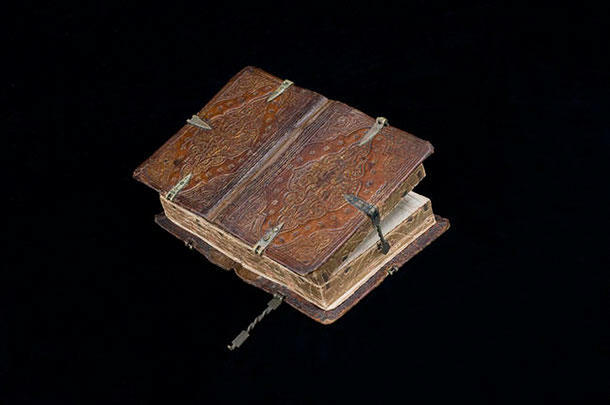 This 16th century book is housed at the National Library of Sweden. 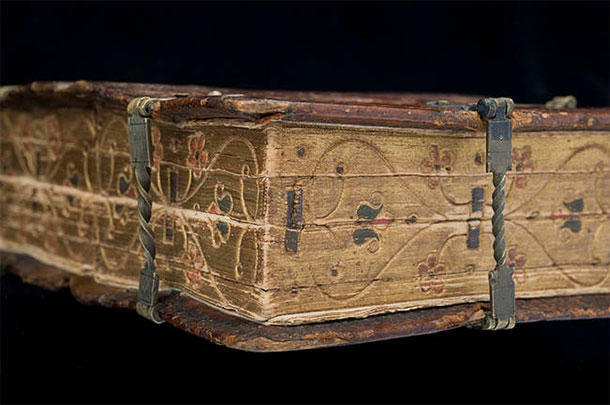 A closer look at the embellished page edges and clasps. 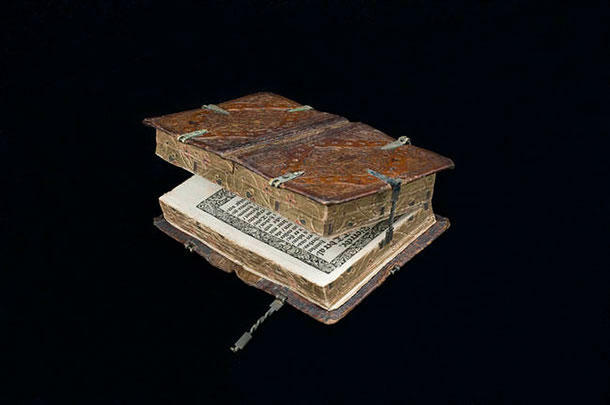 Depending on which clasp is open, the book can be read several ways. 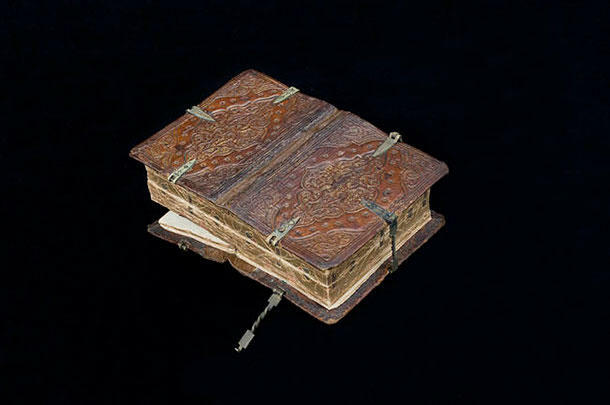 With its dos-a-dos binding, which literally translates to "back-to-back," readers can read the book in six different ways. 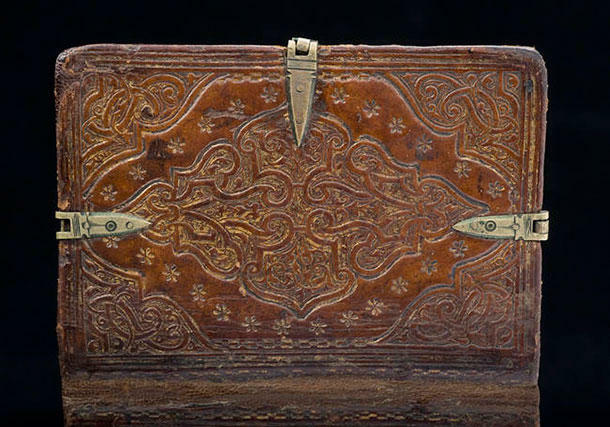 Opening different clasps will reveal different directions.